This morning the air was crisp and cool, and I actually hesitated for a second, due to the chill, as I opened the backdoor to let the dogs out. Hello fall! I don’t mean to sound like a Debbie Downer (I’m really sorry if your name is Debbie, no offense, I know you’re not a downer despite the popular Saturday Night Live phrase! ), but Florida, thinking it’s still summertime in November, has made it extremely hard to embrace the flavors of fall lately. Trust me, I’ve tried to embrace the warmer meals and pumpkin spice everything, but when it’s still shorts and tank top weather, well, the struggle is real. The good news is that I’m pretty sure Florida officially got the memo about mid-November being the time for crisp, cool mornings (and maybe even days, too?). This change means soups can finally be enjoyed (not just made, but really enjoyed! ), and warm and hearty casseroles can be embraced once again. 1) Easy to make. I love the amazing side dishes showcased in cooking magazines and Pinterest, but the truth is if I cook a homemade main course and recreate a multi-step side dish, I would experience real food burnout. I know this will probably change as the seasons of life come and go, but right now an easy side dish is a must! This ensures my family will be fed in a timely manner and I don’t suffer from a nightly case of real-food-doing-too-much burnout. 2) Complement the main meal and provide nourishment. I view a side dish as a way to complement a main meal . 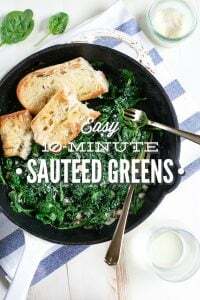 For example: a veggie and meat soup (the main meal) and a homemade bread (side), homemade pizza (main) and a veggie salad with a basic vinegar and olive oil dressing (side), meatloaf (main) and sauteed spinach (side). Sometimes the side dish also guarantees kid-friendly dinner success. If I know a main dinner option may not go over so well with the kids (but the adults love it, and we want to teach food diversity in our home), then our side dish will complement the main meal and guarantee the kids will at least enjoy one of the options at the table. 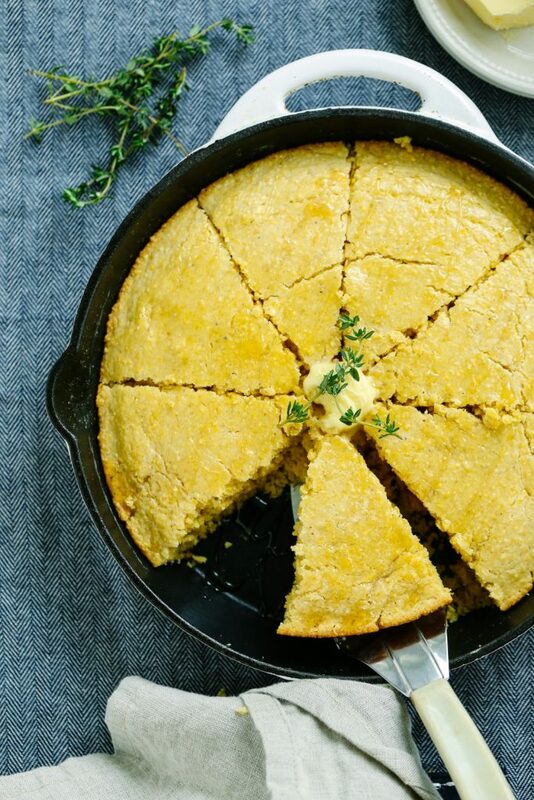 Today’s recipe, Easy Homemade Skillet Cornbread, is a classic fall-inspired dish that’s a perfect complement to cooler weather main meals, like soups and veggie or meat casseroles. Cornbread is a simple and inexpensive side dish that doesn’t require any fancy ingredients, making it the perfect side to whisk together and bake on a busy weeknight. A side dish that even I can happily endorse! Today’s recipe, Easy Homemade Skillet Cornbread, is a classic fall-inspired dish that’s a perfect complement to cooler weather main meals, like soups and veggie or meat casseroles. 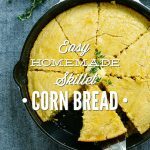 Cornbread is a simple and inexpensive side dish that doesn’t require any fancy ingredients, making it the perfect side to whisk together and bake on a busy weeknight. 1 1/4 cups cornmeal I prefer Bob's Red Mill Medium Grind Cornmeal. Look for organic cornmeal to avoid GMOs. Preheat the oven to 350F. Once the oven is heated, placed a cast iron skillet (I use a 10-inch skillet) in the hot oven. 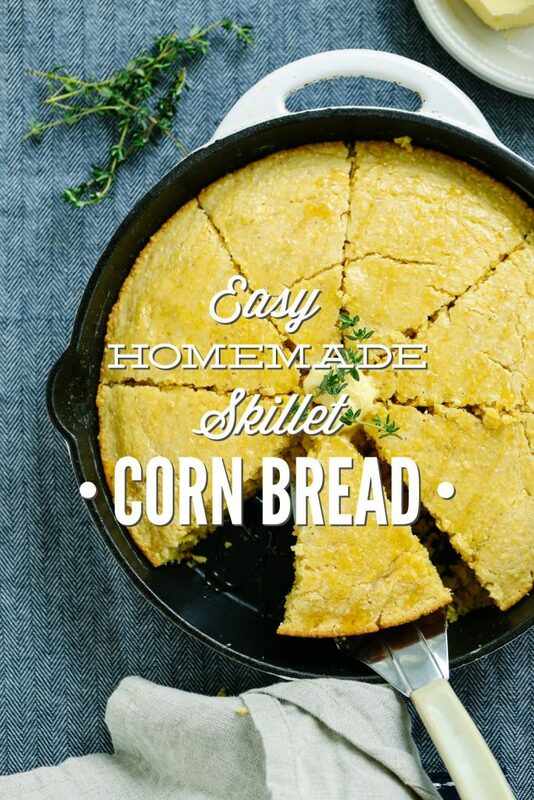 Let the skillet heat in the oven while you mix the corn bread ingredients together. 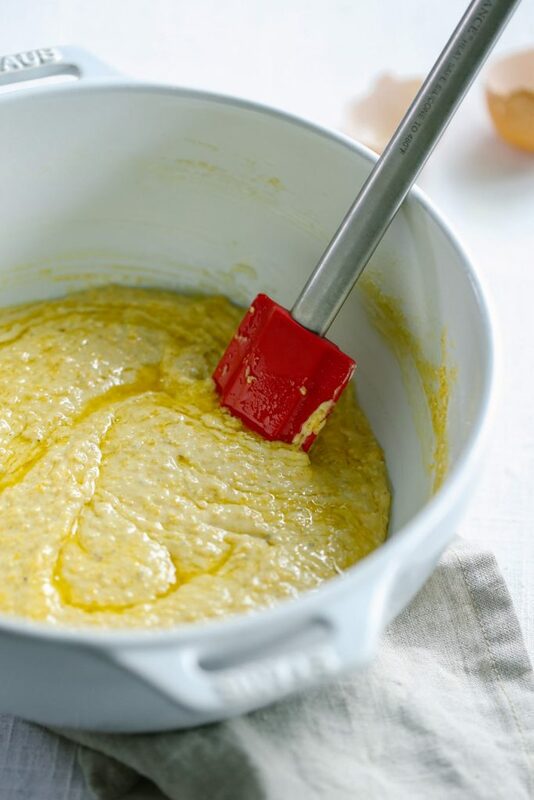 In a large bowl, whisk together the cornmeal, flour, baking powder, and salt. In a separate medium-size bowl, whisk together the liquid ingredients: milk, yogurt, maple syrup, and an egg. Pour the liquid ingredients into the dry ingredients and whisk until combined. Set aside. Remove the skillet from the oven (remember, it's very hot!). Place the butter in the skillet and return the skillet back to the oven. The butter will melt (about 4-5 minutes). Once melted, remove the skillet from the oven and carefully disperse the butter so even the sides are buttered. Pour the melted butter into the cornbread mix, folding the butter into the cornbread. Wipe the sides of the skillet, if any butter dripped over the skillet, and pour the cornbread into the skillet. Bake the cornbread for 22-25 minutes, until firm in the center. Let the cornbread rest for 10 minutes before slicing. *A medium grind cornmeal will produce a grainy, crunchy, crumbly cornbread, not a cake-like cornbread. This is my preferred texture. 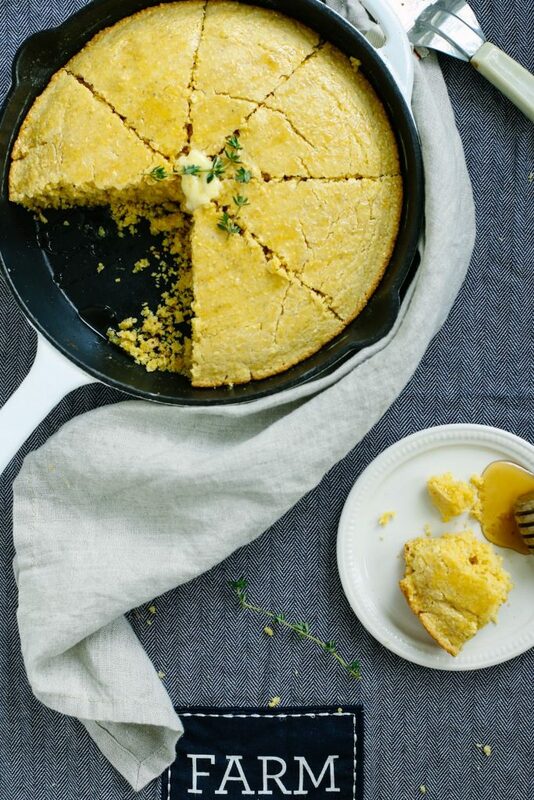 If you’d like a cornbread with a “smooth” texture, look for fine grind cornmeal. 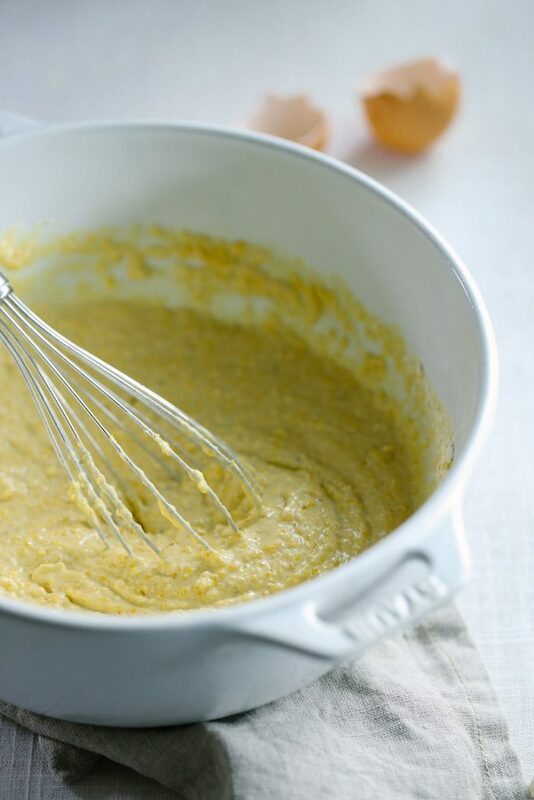 If you use a fine cornmeal, the cornmeal amount may need to be slightly reduced by a couple of tablespoons. I hear ya about the weather. I’ve been dying for soups and stews but it’s just too hot! We live just northeast of Jacksonville, in Macclenny (not sure if you’ve heard of it) but it was almost cold yesterday and today. Success!! Hey Leah, I’m soooo ready for consistently cooler weather. I haven’t heard of Macclenny (just looked it up!). Maybe the cooler weather is finally headed to Florida to stay…cornbread and soup all around! I am out of Einkorn flour and I have to order it. No one sells it around here. What flour do you suggest substituting or should I just wait to make it when I get more einkorn flour? Hey Shelley, You could try spelt or whole wheat pastry flour :). 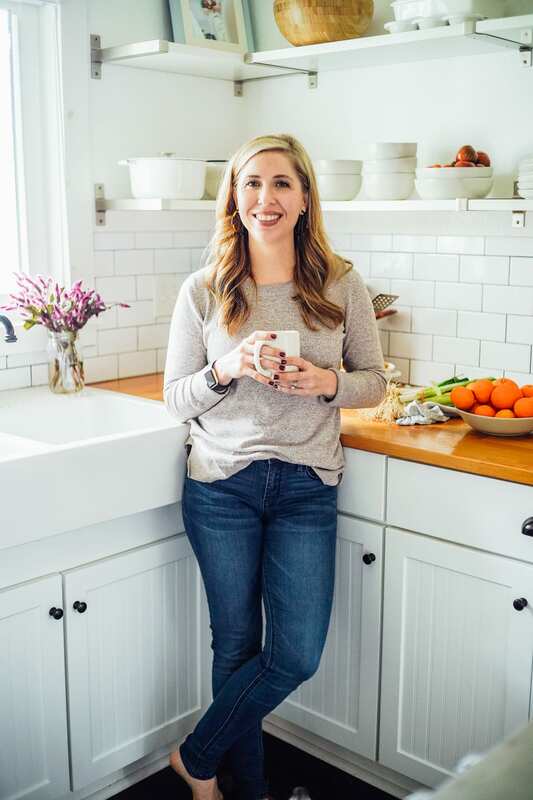 I’m a wife and mother of two rowdy toddlers, trying to navigate my way toward a “real food” and “all natural” lifestyle for my family. 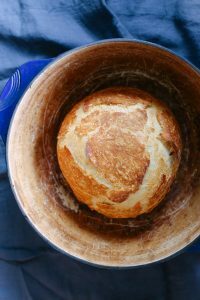 I’m full of questions lol but my main one for this post is about Einkorn Flour. Is this the best substitution for conventional white AP flour? 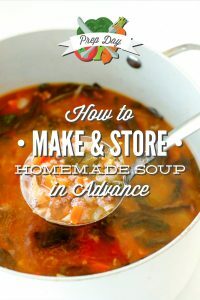 Slowly but surely I’m trying to transform my cupboards and pantry, one paycheck at a time and I have tons of questions about my “staple” items. Hey Shelby, That’s so great; I’m excited for your journey! In my opinion, einkorn is the best flour to mimic white flour in taste, texture, and appearance (baked goods come out yellow/white). But einkorn is also tricky to sub 1:1 for white all-purpose flour, and it tends to be expensive if you do a lot of baking. If you’re looking to make a substitution for white all-purpose flour in recipes then I would probably go with white whole wheat, which is available in most stores and is pretty inexpensive. I’m always up for more questions :). Will it still work ok if I only have a 12″ cast iron skillet? Would I maybe just shorten the cooking time and the pieces just won’t be as thick? Hey Kristin, Yes, I believe so. The cooking time will probably be close to the same–maybe just off a couple of minutes. Let me know how it goes! I made this tonight in my 12″ inch skillet and the pieces weren’t as thick, obviously, but they were still delicious! Cooking time was the same too. Thanks for the recipe! Yay, Kristin! Thank you for sharing! Hi Kristin, if I wanted to turn this into cornbread muffins, what will I do differently, if anything? Hey Cassandra, I make this recipe into muffins often. You won’t need to change anything about the recipe, other than using a muffin pan. This recipe makes 12 regular size muffins. I don’t have a cast-iron skillet yet 🙁 … Would this recipe work OK with a regular cake pan? Hey Leslie, Yes, it will :). Seriously SO DELICIOUS. Thank you!! Yay, Leslie! I’m so glad you liked it! Please, y’all, commit this to memory and pass it on to your loved ones: there is no sweetener of any kind in cornbread. There may be sweetener in corn muffins, which are not related to southern cornbread and (to my knowledge) exist only in coffee shops, but not in cornbread. If you want a cute version of this recipe, bake the batter in a special-made cast iron pan that has corn cob-shaped indentations, a la madeline pans. 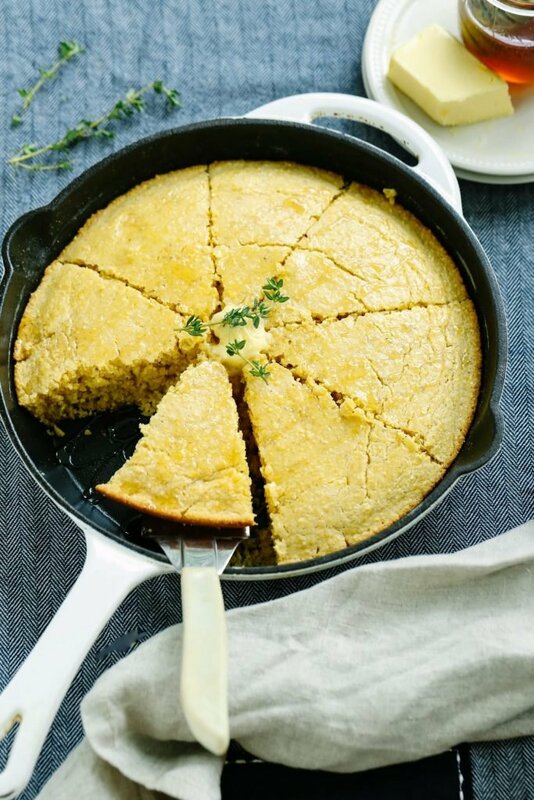 Also to consider: some people start baking the cornbread by heating fat in an otherwise empty pan until hot, then pouring the batter into the hot pan. You’ll have to decide for yourselves on that one. Hey Sara, Thanks for sharing your opinion on sweetener. I’m from the south and live in the south, and we always put a tad bit of sweetener in our cornbread. Maybe it varies from family to family, or region to region. Delicious! I made this for the second time tonight and it just keeps getting better. I prefer muffins when eating cornbread so i just melted the the butter (not all of it, assuming had I used the skillet then some would have stayed inside) in the microwave and added it to the mix. Made about 13 muffins and baked for the same time! Delicious!!! It was the perfect amout of sweetness. I didn’t have einkorn flour so just used regular flour. First time ever making cornbread so huge win! Thank you! Woohoo, Amanda! I’m so glad it was a win!